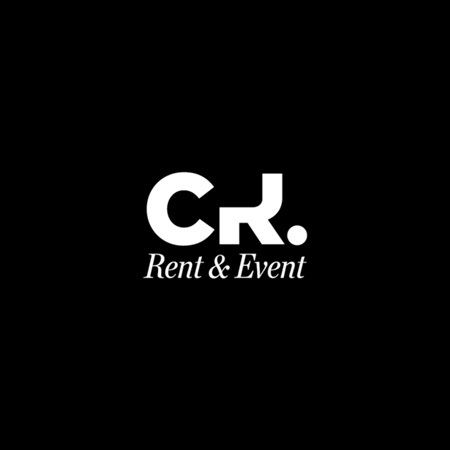 Crimons is a company specialised in furniture hire, developing and producing ephemeral installations for all kind of events in all kind of spaces.Yes, also the one you imagined. When a couple decides to get married, one of the first things that has to elect of face at the future link is the place of the ceremony, the service of meals, restaurant or the place at which will realise the weddings and the feast. Doing a mediterranean wedding doesn't mean to have to marry in front of the Mediterranian sea. If not ask this couple. In love with a beautiful house in Monells, a village in Girona located in Baix Empordà, they wanted an elegant but unostentatious wedding and afterall with a very mediterranean style. La Llotja is one of those iconic buildings of Barcelona that maintain their majesty in each of its rooms. We have done many events in there and the truth is that despite having a very distinctive style it’s very chameleonic, all kind of furniture feels good in there. A unique wedding with views to the Mediterranean Sea. Undoubtedly one of the most special this season. Last December we had a different, original very classy and with a lot of taste event. We were aksed for a corporate dinner based in pirates. It was a cocktail dinner and the venue was Museu Marítim de Drassanes in Barcelona. We knew that it would be spectaular but in was more than spectacular! Maximum nostalgia was this feeling, being always behind ths scenes, but rarely in the front line. We wanted to become protagonists and to make you leave aside the steps, the timmings, the rush and the nerves to live a night of laughter, parentheses and clear mind. It is true that lack of time was our worst ally but in the end the illusion always wins. That is why we decided to make you live a different experience. This country wedding took place on a wonderful day in July in a beautiful country house. We took great care down to every last detail, the idea was to create a magical atmosphere. We did our best to make a simple wedding in exquisite taste. Steps to plan a gala dinner | What do they need? Like when you eat a kinder egg expecting to see what’s in it, that is how the partners of the Barcelona Tennis Club feel when the summer dinner arrives. An event that always takes place in the late June to coincide with the beginning of this season. We’ve been 5 years doing it and surprising them, building up hopes and expectations for each dinner that it is always different and unique with different atmospheres thanks to the decor and the ephemeral architecture assemble. Four brands, four spaces = four different and unique auditoriums. Discover how to customize the space according to the personality of your brand. we want to offer you detailed information about how can this structures help to improve the quality of the space and the comodity of your guests. It discovers the trends for the new 2019 wedding season. The Wedding trend report by Wedding Academy is already is here! Mas Marroch is the space that the Roca brothers use for their events and weddings. This December they opened a new spectacular space : the Agora, a project of the architect Oriol Roselló. At Crimons we like to team up with the best wedding planners that bring us challenges for your most demanding international clients. Crimons is the beginning of a great story, or the recognition of a long career. Crimons is applauses, toasts, staging. It is a blank canvas ornamented by a team of 50 professionals who co-ordinate and select every element in order to create an atmosphere in which anything can happen. Crimons are ephemeral installations for transcendent events. And that we know how to do it, for we have been doing it for over 60 years.